As democratic strongholds, libraries are open to all, serving as a space for community engagement, open discussion, and intellectual development. Not only does the library space serve as a civic forum and information hub, libraries are community conversation initiators and civic guides (Gutsche, 2012; Kranich, 2012). Often when discussing civic engagement, the focus is on adult participation. However, teens should be brought into the discussion as young citizens with powerful voices that can effect change on local, state, and national levels. Libraries provide teens with “genuine and meaningful opportunities to work with each other and with policymakers to impact issues of importance” (Center for the Study of Social Policy, 2011, pg. 2). Civic engagement is tied to healthy youth development, introducing opportunities for teens to become comfortable expressing themselves, learn to think critically, and hone empathy and compassion skills. Teens must develop the skills necessary to fully participate as engaged and informed citizens. Librarians can, and frequently do, help by providing youth programming that supports the development of 21st century skills. YALSA’s report, The Future of Library Services for and with Teens: A Call to Action, highlights the essential literacies that youth need to acquire to be work, college, and life ready. Through knowledge and skill accumulation, teens are more confident entering a world where sometimes opportunities for personal and professional development are few and far between. Additionally, within the safe space of a library, teens feel liberated to share their opinions, thoughts, and concerns with willing, involved, and engaged peers and adults. Growing up in a small rural town in Georgia, my library became one of the few places where I could learn about cultures, belief systems, and opinions that were far removed from my tiny hometown. These experiences have had a deep impact on how I serve my local community, country, and profession. While libraries have long participated in the struggle for social justice and equality, it hasn’t been until recent months that our efforts have reached the attention of the public. We’ve pushed diversity and inclusiveness to the forefront with movements like Libraries 4 Black Lives and Libraries Are For Everyone. Libraries and librarians have also begun to incorporate social services alongside more traditional library services. We’re connecting patrons with mental health agencies, public health workers, and housing assistance. Libraries including San Francisco Public Library and Denver Public Library are offering themselves up as safe havens for the homeless; places where these patrons can find support and compassion. Although the majority of these programs are directed towards adults, many libraries are reaching out to teens. School librarians are collecting materials specifically for LGBTQ youth while public librarians are providing outreach to homeless teens. The YALSA Futures Report explicit calls out for libraries to serve underserved youth including those incarcerated, homeless, or otherwise in crisis. At the root of these services is empathy. By empathy, we mean the “ability to understand and share the feelings of another” (Oxford Dictionaries, 2017). It requires that librarians look beyond collection development, teen programming, and readers’ advisory as tasks to carry out. Instead, we need to carefully assess how we explicitly (but sometimes not) provide help and support to teens through this work. Empathy is inherently a part of the work we do every day. Libraries serve as community hubs and safe spaces, stepping beyond the traditional perception of libraries as warehouses for books. 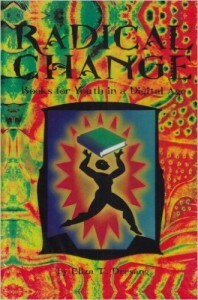 As community anchors, libraries advocate for teens through political engagement and outreach. Advocacy itself is an empathetic activity, nurtured by understanding and compassion. 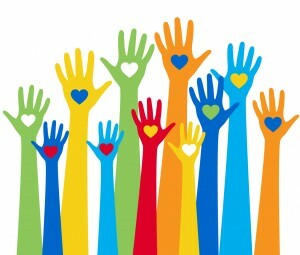 By promoting services and advocating for underserved youth, we demonstrate our commitment to and empathy for teen patrons along with promoting the well-being of our community as a whole. However, our empathetic work with youth is often overlooked or ignored. In the research and professional literature, empathy in libraries is frequently referred to as customer service. Yet this work is much more than that providing a teen patron with a library service. 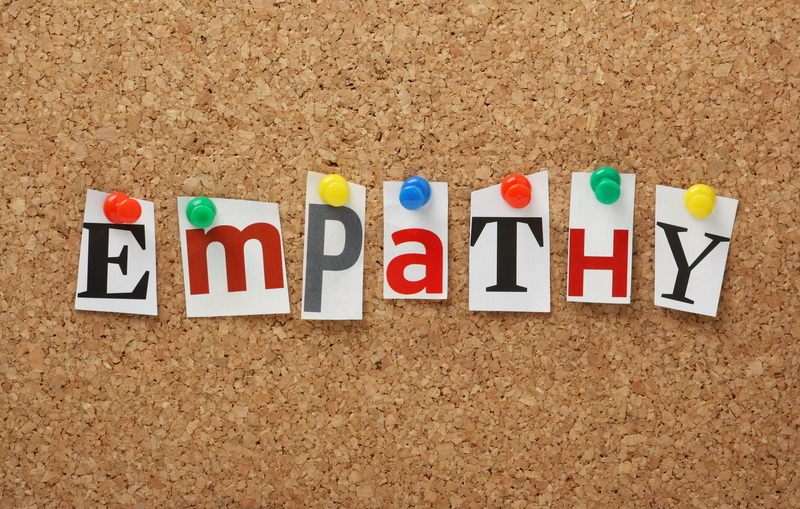 Being empathetic requires us to be active and engaged listeners who have a mindset of helping. This is already a core component of librarianship. Librarians impact the lives of youth by offering the library as a welcoming space for teen emotional, social, and psychological development. By being empathetic, we reach out to youth who may not have anyone else or feel misunderstood by peers, parents, or teachers. Through our engagement with teens, we display compassion and understanding that improves that quality of all library services. Libraries serve as a critical “third place” for youth, particularly underserved youth. Separate from home and school, libraries act as a judgement free space where teens can express themselves, hang out, and find support. Whether through teen mentorship, interest-driven education, or teen library space design, librarians place great value on teens and serving teens. A transformation of teen services and the ways in which a library can support teens is in progress. By incorporating empathy into library work with teens, librarians illustrate the continued importance of libraries in communities. You can find great resources about serving diverse and underserved teens at this YALSA wiki. Abigail Phillips, Ph.D. is a Postdoctoral Fellow in the Department of Instructional Technology and Learning Sciences at Utah State University. You can find her on Twitter (@abigailleigh) and by e-mail (abigail.phillips@usu.edu). By Abigail Phillips December 1, 2016 December 1, 2016 Governance, YALSA Info. During my final year of my PhD program in the School of Information at Florida State University, I decided to take a risk and apply for the YALSA Board Fellows program. Having been out of libraries as a practitioner for a few years, I felt nervous about applying to a program that seemed out of my league. But the risk turned out to be worth it as I began to meet people from a range of backgrounds within YALSA who inspired me to become a better LIS researcher and librarian. At first, my fellowship seemed daunting. Not only did I add another project on top of my dissertation, but I also immersed myself in a position that required quite a bit of outspokenness and willingness to contribute my own ideas, critiques, and concerns to a well-spoken and passionate group of individuals who made up the Board. This is not an easy task for those who (like me) tend to write instead of speak and find public speaking to be an overwhelming experience. As an introvert, I find it easier to not share my opinions (at least aloud) and to sometimes allow the thoughts and opinions of others to drown out my own. However, by taking on this fellowship, I grew as both as public speaker and critical thinker. I’m still quiet and shy, but I’ve found the smaller discussions and breakout groups that we took part in as a board a less intimidating step towards public speaking. As part of the fellowship, I conducted a year long project, focusing on a specific project that could be of benefit to the YALSA Board. Figuring out my project took more time and thoughtful reflection than I expected. Having little experience with board work in general, I couldn’t quite see how I could contribute meaningful content to an already functioning and relevant board. Eventually, I settled on a topic: resources the Board could use to build stronger relationships with funders. Through my project work, I dug deeper into how a board functions and the many aspects necessary to nurture the work of a board. This is one of the many reasons that I appreciate my time on the YALSA board. Without this project, I wouldn’t have an awareness of board work and the difficult elements that contribute to a successful board. I hope that as I grow in my career I can continue to offer my services to YALSA either through committee or board work. Knowing that I am offering my skills to a board that has the needs of its members, organization, and profession foremost in its view is exciting and meaningful. 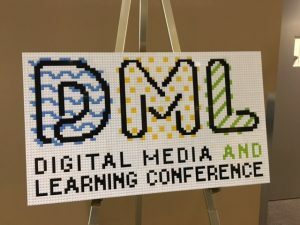 Recently, I attended the Digital Media and Learning Conference (DML) in Irvine, California hoping to learn a bit more about this education focused world I’ve jumped into after finishing up a PhD in Information Science. I was not disappointed. The DML Research Hub is composed of a group of researchers who are interested in all things digital media and learning (not surprisingly). They have several initiatives including connected learning, make-to-learn, and youth and participatory politics. You can find out more about their work here. The conference included a mix of educators, researchers, academics, and even librarians. The wide range of presentations held during the conference is what impressed me most. Everything from game design and maker programs to Scratch and digital citizenship. There seemed to be a space for anyone interested in how digital media impacts youth learning. For someone interested in the everyday lives of young adults (like me), the conference demonstrated how commonly used digital media such as gaming and Makerspaces can play a role in the education of youth. Education no longer seems static, fixed in the traditional classroom, but instead learning can occur in many forms and engage the learner rather than bore them. Three sessions that I attended stick out in my mind: The first, Get Creative with Coding: Dance, Sports, and Other Interests, asked that all participants to take part in some hands on playing through Scratch, a free coding program available from MIT. By taking time to play with Scratch and a smaller version of Scratch called Scratch “Microworld”, we learned how to encourage youth to develop their own online projects on whatever they find interesting – music, sports, fashion. The tie into libraries is that as an informal space for learning, libraries can motivate youth to use the library resources to access this freely available online coding program and become more involved in making within their communities. First, don’t be shy. I know that’s easy enough to write, but test out interacting with new people. It’s not as hard as it seems. Librarians are a friendly and engaged bunch. If walking up to a group full of strangers is too much for you, begin with introducing yourself to one or two people at a session or while wandering around a social. Even better if you can introduce someone you already know to a new friend. This takes a bit of pressure off since all the attention isn’t focused on you. This is a trick I use frequently. 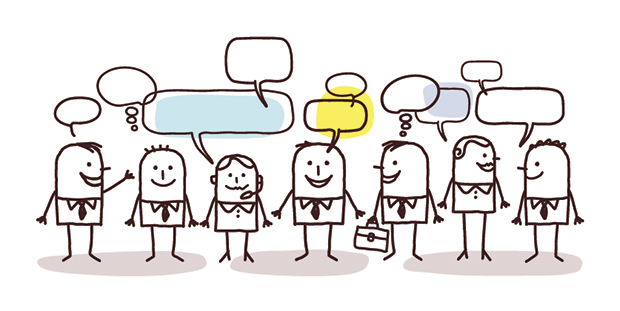 Now you’re not only networking, but you’re also a connector! Second, bring business cards. I honestly didn’t share too many cards while at this past conference. But during my first Annual, I forgot my business cards and all of the sudden everyone wanted one. Just in case, I would recommend bringing at least 25 or so business cards for a conference. Depending upon what you’re attending or doing at the conference, you may need even more cards. If you’re presenting, definitely bring cards. By Abigail Phillips June 16, 2016 June 17, 2016 Continuous Learning, YALSA Info. On April 27, 2016, the YALSA Board adopted a 3-year organization plan for 2016-2018. If you haven’t had a chance to look at this document, I would highly recommend that you take some time to read about the future direction for YALSA as a division. By doing so, you will gain a better understanding of how YALSA is evolving based on its report, the Future of Library Services for and with Teens: A Call for Action. As part of the organization plan, the Board discussed the Theory of Change and its influence over this plan, an intended impact statement, three major priorities of the plan, and finally, the learning agenda. In this blog post, I will delve a little bit deeper into the learning agenda and highlight some areas of this section within the organization plan that particularly interested me. The different elements of this plan will involve YALSA researching further into areas that are otherwise unknown or new to the division. In order to achieve the goals of the plan, YALSA board, staff, and volunteers will need to take more time to research the priority areas laid out in the plan. These areas include leading the transformation of teen library services, advocacy, and funder and partner development. Each of these areas is critical for determining the success of the plan. Learning is an on-going process that can be approached in many different ways. This learning agenda highlights three: “on the job” learning, using the wealth of existing knowledge of YALSA members and library staff, and continuing education. All three of these approaches help support the learning that is necessary for the three priority areas of the organization plan. The learning agenda is an impressive step in the right direction for YALSA. A plan of this magnitude cannot succeed with constant learning and research by the division. By incorporating a learning agenda into the organization plan, YALSA is demonstrating the importance of education and research to the division.